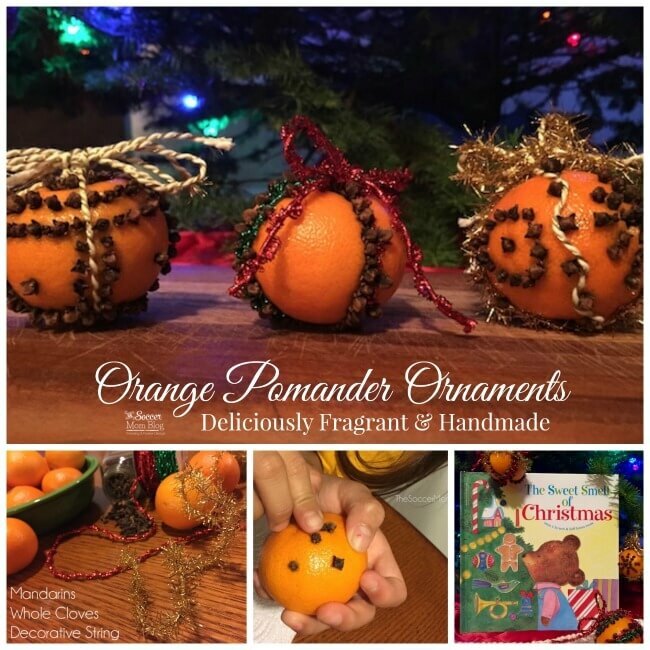 Forget buying expensive gift wrap! 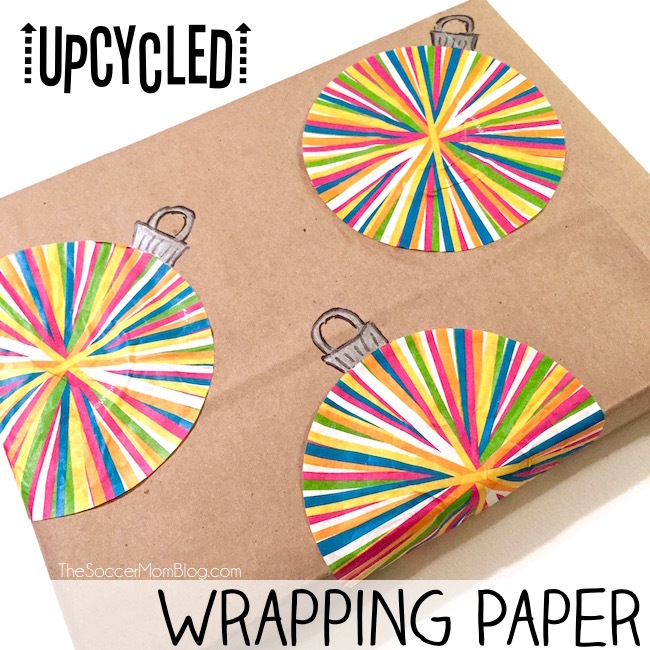 This DIY Christmas wrapping paper is made entirely with things found in your kitchen! 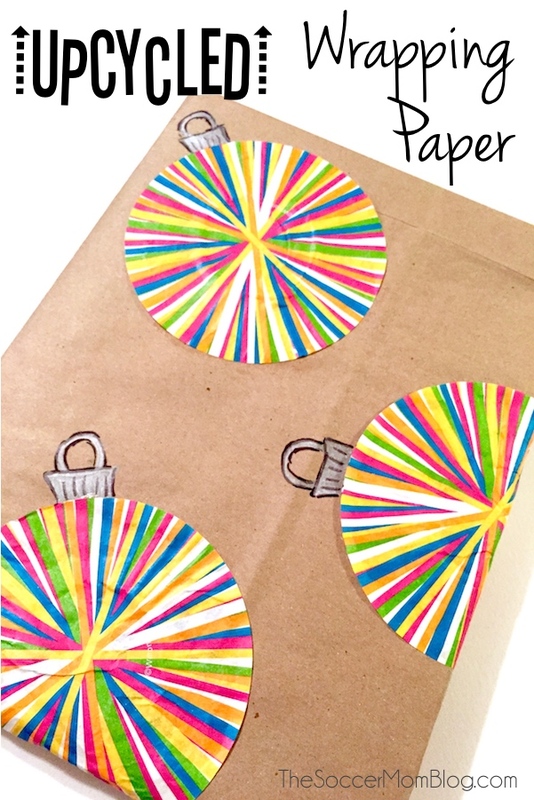 Well, these striped paper cupcake liners were just too cute to toss, and I pretty quickly came up with the idea to use them to decorate Christmas wrapping paper. Carrying on with the recycling theme, I rounded up some paper shopping bags that would serve well as the actual gift wrap. 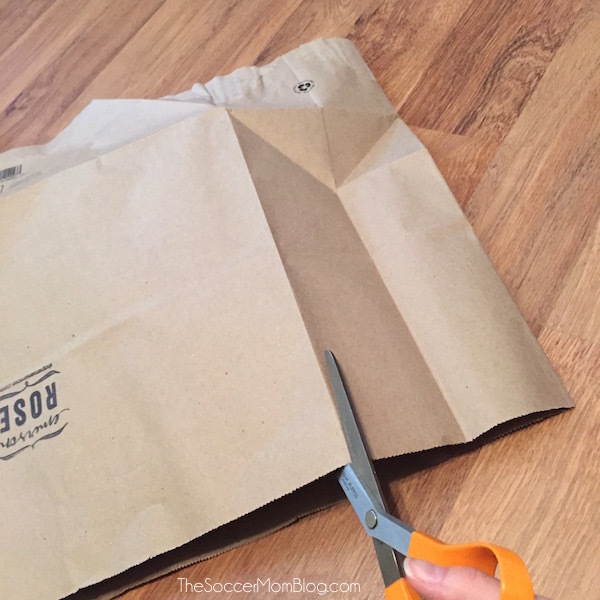 Unfold the bottom of the shopping bag and cut along one side to form a flat sheet of paper. 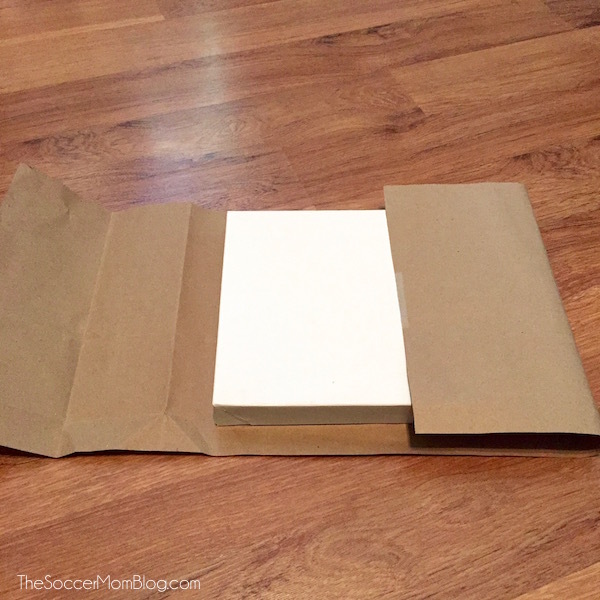 Trim to fit your box and wrap as you normally would. 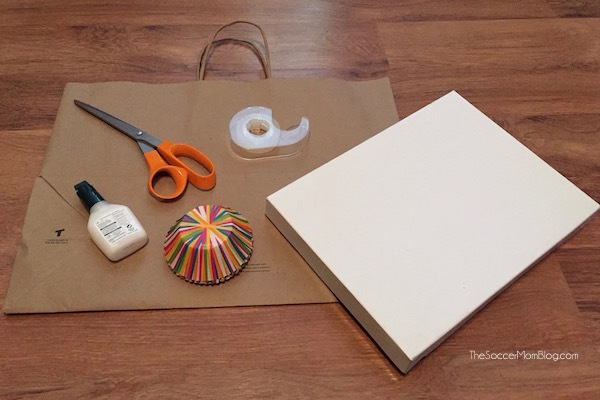 Press individual cupcake liners flat and coat the bottom with glue. (Glue sticks would probably be easiest, but strangely I couldn’t find any at the time, so I used craft glue and that was fine too.) Attach to paper and allow to dry. 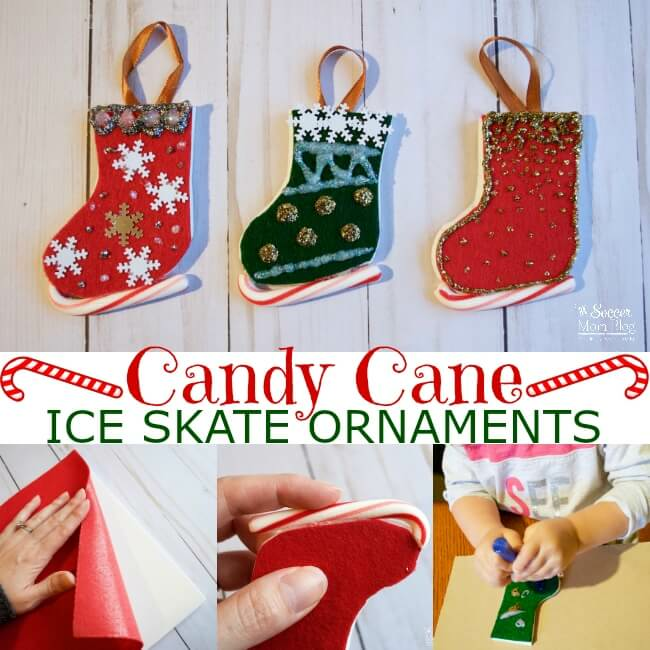 Using a metallic marker and a black sharpie, I added details to make them look like Christmas ornaments. Four steps — simple as that! 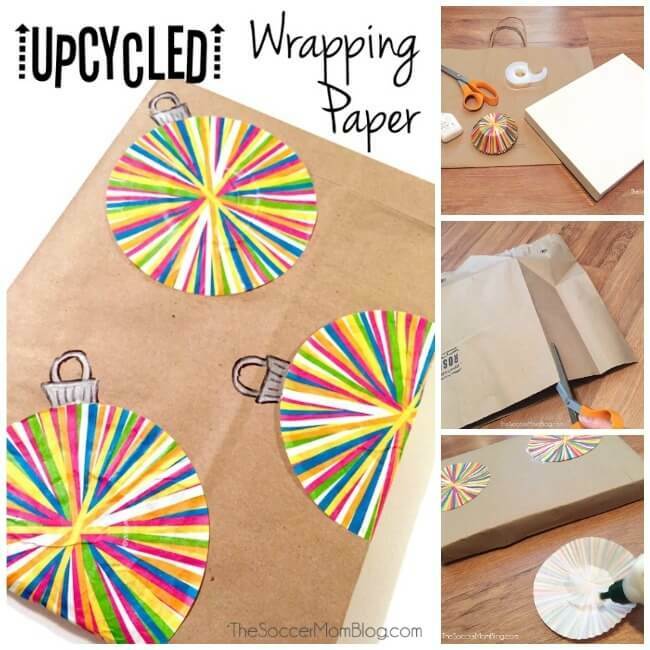 It’s an easy project that you can do with the kids, plus you can feel good about reducing your paper waste. With this up-cycled Christmas wrapping paper, I now have another fun and unique way to wrap my gifts this year. Now if only the holidays would get here faster!! 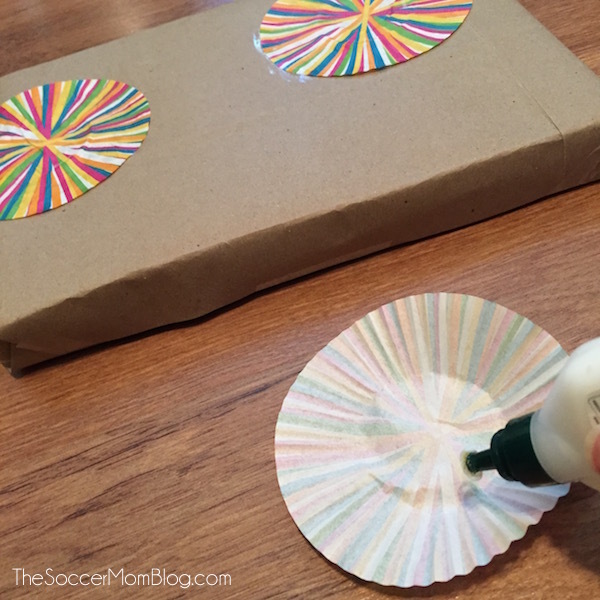 Do you make your own Christmas wrapping paper? What are your favorite materials to use? « Are We Too Busy for Our Own Good?